What can I do with OFX2QFX (OFX to QFX Converter)? Why should I trust OFX2QFX? Yes. OFX2QFX is free to download and try. Your file will be fully parsed in the trial mode, so you can verify that OFX2QFX understands your transactions file correctly. You can create a fully functional and loadableQFX file before purchasing (with limitation to 10 transactions - this limitation is removed after you register). Which Quicken version can import QFX (Web Connect) files? 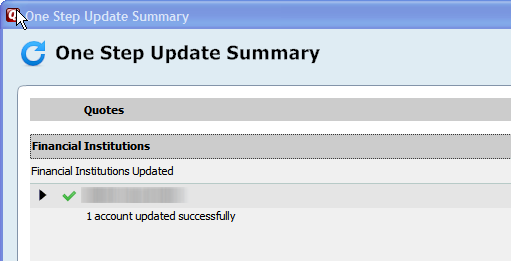 The latest version of Quicken 2019 imports QFX (Web Connect) files. Earlier Quicken versions import QFX (Web Connect) files until they becomes three years old. For example, if right now year 2019 then Quicken 2017 is the earliest version that imports QFX (Web Connect) files. You may find that 2016 still imports QFX (Web Connect) files, please use the trial version to confirm that before purchasing. How I should import a QFX file that OFX2QFX created under Quicken 2017+ (including Quicken 2019)? 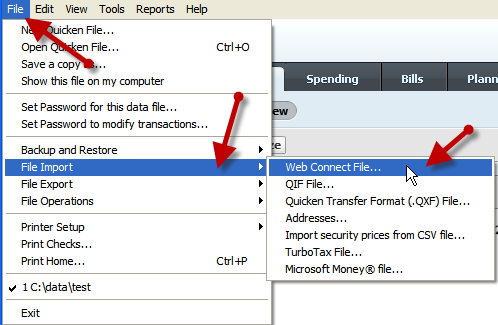 Start Quicken and click File, then File Import, then Web Connect file. 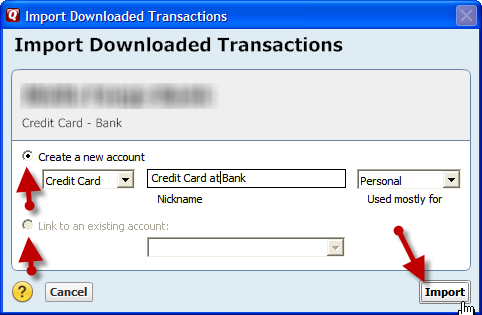 On the import screen, select existing account or create new account. Confirm the account is updated (one time).